The new, modular Technics SP-10R turntable plays records just like any other turntable. But, according to Technics, it plays records really, really, really well. It better since it’s priced at $10,000 (£7,389; UK pricing TBA) and up depending on just how you configure it. But the introduction of yet another Technics tribute model—or collector’s item if you’re being honest with yourself—makes you wonder. What exactly is this legendary audio company trying to do? Make money is the obvious answer to that question. 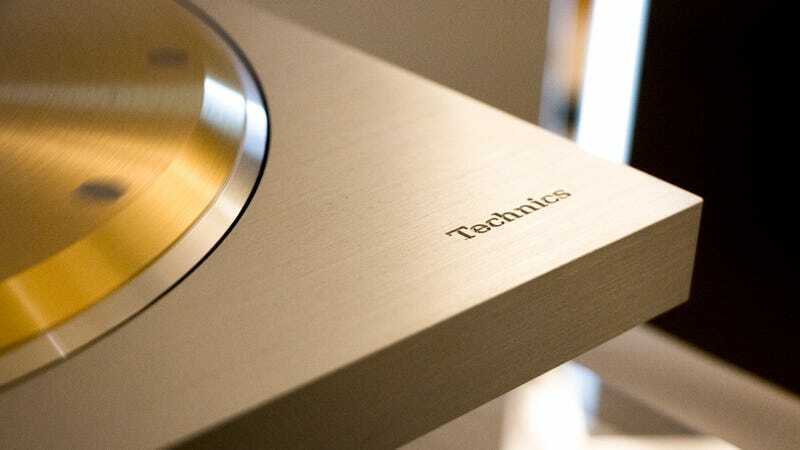 It was ten years ago that Panasonic decided to close its Technics audio division, halting the production of some of the most famous, durable, and celebrated turntables on Earth. The audiophile community then did a little wee in 2016, when the company announced that it would once again start building the legendary Technics 1200 direct-drive turntables. But the reincarnated 1200-series would come with a hilariously high price tag: £2,799 for one wheel of steel. That wasn’t exactly good news for a lot of Technics fans. Sure, it’s nice to see a beloved brand come back and make even better versions of its famously amazing technology. For Technics, the move towards a much higher price point that targeted elite audiophiles felt like a betrayal of the brand’s reputation as the go-to instrument for DJs and hip hop artists. Who wants to listen to classical music on a Technics turntable, they might say, when you should be finding break beats and mixing electronic music? This week, I asked Hiro Morishita, a lead creative director at Technics, about the tension in a dimly lit hotel suite at the CES in Las Vegas. He seemed miffed about a year-old New York Times story that claimed Technics had turned its back on DJs. His quotes in the piece were taken out of context, he said. The new Technics was focused on building the best turntables it could, regardless of the records they would play. A nice sentiment, sure. But how will the DJ community respond to another new Technics product, the SP-10R, that’s clearly marketed to rich audiophiles who can afford to drop five figures on a record player? That’s not for me to say. Morishita’s Gibson metaphor actually makes a lot of sense. Serious musicians will notice a tremendous difference between the £199 Epiphone Les Paul for beginners and the £1,699 Gibson Les Paul . The more expensive instrument is noticeably better, and plenty of serious guitarists will pay almost ten times as much for that quality. Which brings us back to the new $10,000 Technics turntable. The SP-10R features a heavy, 15-pound brass platter with special tungsten inserts that’s designed to produce the smoothest spin possible. There’s also a redesigned, stator coil-based motor, which allows the unit to be compact, and a separate power supply that enables hyper-precise rotation speeds. And as that earlier mention of modularity suggests, you can actually install the new platter and motor into half-century-old Technics SR-10 turntables for a very fancy upgrade. Otherwise, you can use your own base, tonearm, and cartridge to play records. If you really just want to buy a nice record player, however, Technics will sell you the new SL-1000R system for $20,000 (£14,777; UK pricing TBA). That’s quite a lot of coin to drop on any instrument. It’s hard to imagine that any DJ would buy the new Technics SP-10R turntable for anything other than bragging rights. Rich audiophiles might find other uses for the new unit, like listening to jazz on equally expensive speakers and feeling really horny about how good it all sounds. (Everyone’s allowed to have a hobby or two.) I listened to a jazz record that was playing on the Technics SP-10R. Sounded pretty good. Regardless, it seems apparent that Technics isn’t quite ready to release an affordable new direct drive turntable any time soon. 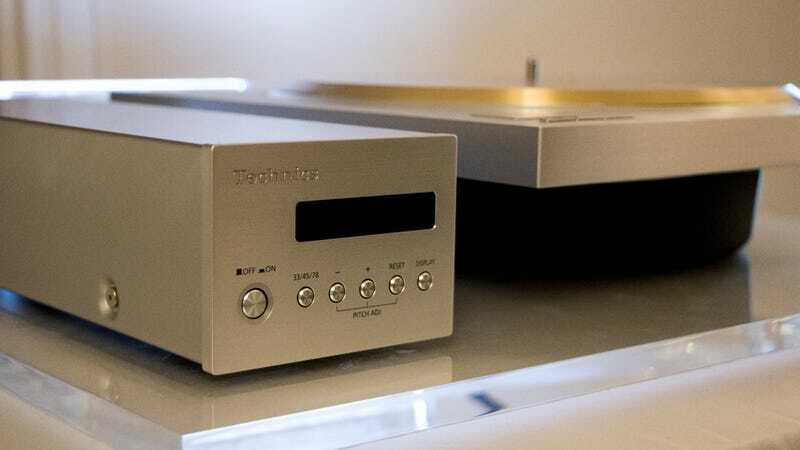 If you’re being speculative and optimistic, however, you might find hope in the fact that Technics really can’t go any higher in terms of price and quality. This year, the company is releasing a very extremely premium product. Maybe next year Panasonic will decide that it’s time to bring its tech back to the masses and release a £500 Technics turntable to be sold at Urban Outfitters. It doesn’t seem likely. But it’s possible.